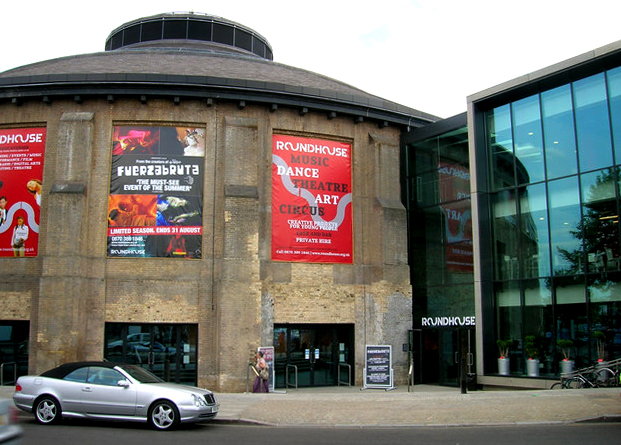 The Roundhouse, Camden, has announced a new multi-arts festival, named ‘Roundhouse Summer Session, in some of the best live entertainment for London this summer. Whilst lots is going on inside, outside visitors can enjoy Camden Beach, the Roundhouse’s very own seaside resort, all of which is taking place throughout July and August. On the terrace, Camden’s biggest outdoor space, there will be 150 tonnes of the finest sand, deck chairs, beach huts, live music and some of the best food pop-ups in the city. Summer Sessions will present live music, dance, comedy, cabaret, spoken word and live-scored cinema in an intimate, table-seated setting. The eclectic line-up includes the world premiere live scoring of There Will Be Blood, exclusive UK headline performances from Sinéad O’Connor and Chilly Gonzalez, a preview of new work from BalletBoyz, performances from rising star Andreya Triana, Penguin Café, Funk Da Cirque, Boom + Bang Cabaret and The Nest Collective host London’s biggest Ceilidh. Following international success, BalletBoyz present their award-winning show Serpent/ Fallen for the final time in London, together with a chance to see an excerpt from their much anticipated new full length work Young Men, choreographed by Iván Pérez, based on the theme of war and the men that train and fight together. Serpent is choreographed by Liam Scarlett (Royal Ballet Artist in Residence) and Fallen is choreographed by Russell Maliphant. Fallen won the award for Best Modern Choreography at the 2013 National Dance Awards. Funk Da Cirque returns to the Roundhouse with Soul Trip, a show that combines street dance styles including boogaloo, house, waacking and b-boying – mixed with theatre, acrobatics, human pyramids and body percussion. Following sold out debut shows at Roundhouse CircusFest 2012 and hot on the heels of appearances at the National Theatre’s Watch This Space and Camp Bestival, Funk Da Cirque includes some of the best young street dancers and acrobats from across London, aged 11-25. Boom + Bang Cabaret is a cabaret circus extravaganza featuring the most talented circus performers from around the world including evil clowns, fire breathing panthers, a drag ringmaster, a Russian prima ballerina, death-defying aerial feats and more. The Boom + Bang Circus is the new creative collaboration between producer Bioux Lee Hayes (formerly of Boom Boom Club and La Reve) and the award winning, international burlesque and circus performer Kitty Bang Bang. The Royal Ballet is set to launch a year-long training scheme for graduate dancers, aimed at providing female ballerinas in particular with an “extra chance” to gain employment in the industry. The number of female graduates entering the dance industry has been the topic of many conversations, so the steps to be taken by the Royal Ballet look to ease the problem and provide employment solutions for some. The scheme is to be called the Aud Jebsen Young Dancer Programme; it will commence in September 2014 and will offer up to six paid work placements to dancers who have graduated from ballet school. There will be opportunities to work with the company’s corps de ballet, teachers, coaches and young choreographers, enabling young graduate dancers to begin to work their way up the dance career ladder and secure a healthy start. Participants of the scheme will also be able to perform with the Royal Ballet, gaining invaluable performance experience as they continue on their dancing journeys. Royal Ballet director Kevin O’Hare said that the organisation would initially look to the Royal Ballet School for recruits, but would also encourage graduates from other training providers to apply. The programme is to be open to both male and female dancers, however O’Hare hopes to see more female ballet dancers applying because it is hoped to then encourage them to continue their career either at the Royal Ballet or another dance company. The competition between female dancers is extremely high, simply because there are so many of them. Men tend to appear more successful in their endeavours because there are less of them in the ballet world, with seemingly more jobs to go around a smaller number. The Royal Ballet graduate scheme aims to give female dancers an extra chance, setting them up to either join the Royal Ballet or any other company around the world. Nicky McGinty, professional dancer and choreographer, is the pinnacle of Ballet Yoga, set to be presented at the OM Yoga Show and MBS Experience in Manchester from 10-11 May. In a unique fusion of Contemporary Ballet and Vinyasa yoga, the techniques are combined to create enormous strength, flexibility, fat burning, co-ordination and great posture. When did you begin dancing, where and why? I began attending ballet classes aged 6 in Woking, Surrey. Why? Because my two older sisters went and I suppose my mum hoped I might enjoy it – little did she know what she started! What were your early years of dancing like? The years were strict at ballet school, and so much fun at the local theatre group, school and in my own garden dancing and prancing about. I was lucky to have some amazing teachers, and some harsh ones, that have taught me how and how not to teach! We performed many shows, musicals and pantomimes. I remember always getting lost in movement when I was young, always creating my own steps and dancing in the garden and bedroom mirror. How long have you been performing and choreographing? Did you start young? I have been performing since a young age – say 12 – but choreographing and performing professionally since the age of 21, so 19 years now. I did some very unconventional training but regardless it was very disciplined and demanding physically, emotionally and mentally – we were challenged, as is the nature of dance I think, up early and home late. No social life as we were too busy and often rather isolated on location or rehearsal studios! I did a BA Hons Dance degree, and a Diploma in Circus Skills and Physical Theatre. I was lucky to get an Observership Award to shadow the wonderfully talented choreographer of feature films and theatre, Fran Janes, and I then did a PGCE in Dance. I trained as a Yoga Teacher in India and did my Pregnancy Yoga training about 2 years ago. What is a typical day like now? It is very different in some ways as I have a 1 year old son now. But similar in that I am up early and home late as I go to teach when he goes to bed. So a typical day is long, creative and incredibly physical as he is a very busy boy! Do you still take classes? I love to go to a contemporary, jazz or ballet class when I get the time, and I often take a yoga class at London’s Jivamukti Centre. How do you keep on top of your technique? I am lucky in that my yoga and ballet teaching now acts as a constant reminder of good technique to me. It’s a lifestyle I aspire to. Do you prefer choreographing to performing? Great question – I think when I was younger I loved the stage – performing was and is magical! But, I was a nervous performer so choreographing was always safer and where I could often express myself fully. What would you say was your greatest achievement to date? That’s a hard one for me because it was often the smaller jobs that were the more enjoyable, but its often the bigger jobs that I learnt most from and often the ones most respected by others. I think dancing on a few feature films – ‘The Da Vinci Code’ in particular was a great achievement. Also, dancing and co-choreographing in a world record was pretty awesome. It was the biggest amount of different dance styles and performers – (800) all in one simultaneously choreographed piece for Big Dance and BBC1 in Trafalgar Square in preparation for the Olympics. That was a huge accomplishment! Which part of dance do you enjoy most? I was always a big fan of the creative process: those amazing improvisations where some incredible movement would surface! I love site-specific work that juxtaposed its natural setting; like ballet dancing throughout Selfridges for Christmas! I also love the moment when I can see the rehearsal process and hard graft come together, often in conjunction with the costume and staging departments. That’s often an exciting and very gratifying feeling. What advice would you give to someone aspiring to be part of the dance industry? Think BIG – go for it – live your dreams! Try not to narrow your vision by saying ‘I can’t’ or ‘I don’t want to do that’, those are often the best jobs! Never let auditions take away your self worth! Be bigger than your biggest critic, eat well and look after yourself. I’m working towards teaching retreats abroad and I’m about to release my third DVD in a box set trilogy: Ballet Fitness, Ballet Yoga and Beginners’ Yoga. More than 250 arts organisations are taking part in Get Scotland Dancing, part of the four-year legacy culture programme for Glasgow 2014 aimed at getting more people of Scotland up on their feet and moving to music. As a country which has a high level of obesity, the Get Scotland Dancing campaign is a fantastic initiative to encourage more people to engage with dance through the various methods of the programme of activity. Full details of the programme have been announced, with the majority of events designed to encourage participation, and many involve taster sessions for dance organisations. The programme is particularly geared towards mass, participatory events. This includes the Big Dance Pledge, a new dance created by Scottish Ballet which will be performed worldwide in mass-dances on 16 May. Participants will be able to learn the dances by watching videos online. Meanwhile, there will be a succession of ceilidhs around the world, all starting at 7.30pm on 21 June, forming the 24 Hour Commonwealth Ceilidh. Performance events of the Get Scotland Dancing programme include a youth dance festival led by Scotland’s YDance involving 36 dance groups from commonwealth countries at the Glasgow Tramway from 10-12 July. Youth dance companies from all over the country will be participating, such as Quicksilver, the youth company of Britain’s oldest dance company, Rambert. The programme also includes a new interpretation of Vivaldi’s Four Seasons created by choreographers and community dance artists Royston Maldoom and Tamara McLorg, which will premiere in Aberdeen on 20 July. Lastly, Gathered Together, an international inclusive dance festival hosted by Indepen-dance at the Tramway, will run from 27-30 August. The Royal Ballet 2014/15 season has recently been announced. It will include three world premieres (with only one likely to be classical) including a new full length ballet by Wayne McGregor, a new one act ballet from Liam Scarlett in November, alongside Kim Brandstrup’s Ceremony of Innocence, and a work by Hofesh Shechter. Carlos Acosta’s Don Quixote will return to the stage, as will Kenneth MacMillan’s Manon in a 40th Anniversary revival. La Fille mal Gardée will then be presented in Spring 2015 and will be part of the live cinema relays programme (along with Manon, Alice’s Adventures in Wonderland and Swan Lake). Draft Works returns in February 2015, in which works in various stages of choreographic development will be performed without full sets and costume, giving audiences an insight into the graft of the process of choreographing. Royal Ballet dancer (First Artist) Ludovic Ondiviela will present a new work in the smaller Linbury space with guest dancers, and the Company will tour to Washington, Chicago and New York. The highlight of the upcoming season seems to be the return of Alessandra Ferri (former Royal Ballet Principal) in the summer of 2015 to dance Wayne McGregor’s new full length ballet, entitled Woolf Works. The piece will be based on the writings and life of Virginia Woolf, with a new score by Max Richter, with whom McGregor has previously collaborated on his critically-acclaimed work Infra. Closing the season, alongside Jerome Robbins’ Afternoon of a Faun and In the Night, will be MacMillan’s Song of the Earth as a third of the triple bill. Sadler’s Wells’ hip hop dance project Breakin’ Convention has launched an online video channel, BCTV, to capture the full range of Breakin’ Convention’s work and the artists it works with, on Friday 2 May 2014. Breakin’ Convention is one of the world’s leading hip hop dance organisations, delivering a dynamic programme of events, performances and projects, working with some of the world’s finest hip hop artists. It will present Breakin’ Convention, its critically acclaimed annual festival of hip hop dance theatre, at Sadler’s Wells from 3-5 May 2014, ahead of a UK tour to venues such as Doncaster, Kings Lynn, Inverness, Birmingham, Brighton, Bristol, Blackpool and Bournemouth. The hip hop community boasts many talented emerging film-makers, but opportunities to train, develop and receive mentorship are limited. Unpaid work and internships are financially unsustainable for most, which makes entry and progression within the industry difficult. Breakin’ Convention therefore aims to plug this gap by offering training and mentorship coupled with paid, creative film-making briefs. Through providing access to quality equipment and mentors, tailored training programmes and bridging relationships with other film production companies, BCTV is not only a fantastic opportunity for film-makers to make dynamic content but a gateway to the larger industry. The project is part of Sadler’s Wells’ work to ensure a strong legacy beyond the tour. In addition to BCTV, this will include engaging local urban cultural ambassadors who will provide the link between the venue and the local hip hop dance, graffiti, rap and DJ communities in order to highlight lesser-known projects to a wider audience. BCTV features everything from live performances to interviews, short documentaries, video diaries and conceptual videos, and provides an insight into the world of hip hop dance. EDge, The Place’s postgraduate company, has taken to the road with an energetic and dramatic programme of dance from 24 March – 13 July. The 12 talented dancers will perform a selection of work by commissioned choreographers Ben Wright, Joe Moran, Idan Cohen, Maya Levy, and work by Trisha Brown (Canto Pianto (1998)) – the first time this piece has been performed in the UK by a company other than Trisha Brown – and Yael Flexer (The Living Room [an extract] (2010-11)). The international tour opens in Plymouth and will visit venues such as Hexham, Leeds, Dundee, Exeter, Naples, Salzburg, Swansea, Jerusalem, Tel Aviv, Arcos de Valdevez and London. The varied repertoire will showcase the artistic and technical excellence of the dancers. With moments of dramatic suspense, tenderness and frantic energy, EDge’s dancers perform a collection of work that’s both light hearted and intense. Accompanied by electronic and operatic sound score the range of narrative and abstract dance is moulded by the selection of internationally acclaimed choreographers. Led by Artistic Director Jeanne Yasko, EDge, the postgraduate performance company of London Contemporary Dance School is now in its 14th year. Each year new dancers are selected through a rigorous audition process and the most exciting and talented students are chosen to join the company. EDge has built a reputation for embracing a range of different styles of contemporary dance, performed by outstanding artists at a key stage of their professional development. The period spent with EDge gives each individual an invaluable insight into creating, rehearsing and touring work as a professional company. 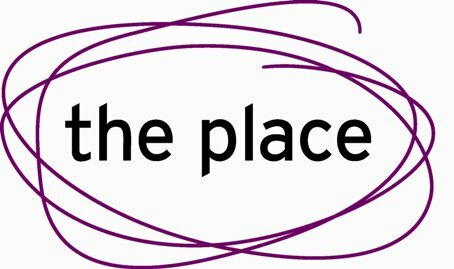 The programme for EDge students is closely integrated with other postgraduate studies at London Contemporary Dance School, and the range of artist development opportunities for artists at all career stages offered by The Place. Naïve Dance Masterclass is Matt Rudkin’s latest project, shown at Canada Water Culture Space. After previously appearing at the Edinburgh and Brighton fringe, where it was nominated for ‘Best Male Performer’, Inconvenient Spoof have presented Naïve Dance Masterclass down in London too. 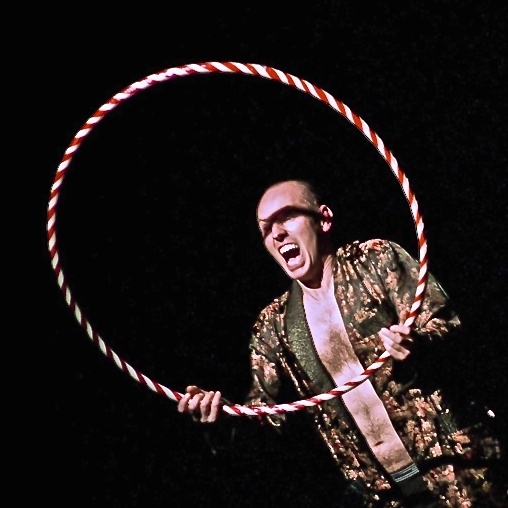 Naïve, a stand-up and dance-about comedy combining dead-pan wordplay and expert physical tomfoolery, shows off ex-contemporary dance star, Matt Rudkin. Here he shares his tale of artistic salvation through the exertions of riot duty training and the love of an immigrant hula-hoopist. My first recollections of dancing are from the age of around 4 when I would apparently begin moving to any kind of music. My parents would take me to festivals and I have a clear recollection of the feeling of complete freedom, dancing outside to live music in the rain. There is a some super-8 film of me dancing at a friend’s party on my own in the corner – and my father picks me up to take me home and I keep on dancing, oblivious as he carries me to the car. Maintaining the ability to create this space of total absorption has required much determined effort as I have grown older, and I now have a very specific routine I go through. In the early years I was not very disciplined technically, but was very connected emotionally. It felt as if the music ‘played me’, so to speak, and I would reverberate with the particular feelings evoked by the melody. I remember one time at my youth dance club I arrived in a very cheery mood and was giggling with friends – but when the teacher put on Henryk Gorecki’s symphony number 3, within seconds I was weeping uncontrollably as I swirled and spiraled around the room. I was also very involved in theatre and have always danced with a very active face. How long have you been performing? Did you start young? I began performing publicly at the age of 6 in a youth company called ‘kaleidoscope’. The first production I appeared in was ‘Creation’ and depicted the first 7 days of the Earth. I played the part of an amoeba that turned into a lizard. I remember being terrified the night before, and my mother comforting me as I lay in bed and reminding me that there were 26 other amoebas so I shouldn’t be too worried about making a wrong move – and because mutations were a natural occurrence. I wasn’t sure what a mutation was, but my mother’s tone of voice was very comforting. In my teenage years I became more self-conscious about performing, especially since I went to a big, tough comprehensive school where dancing and acting wasn’t considered particularly cool. I was quite secretive about my dancing in particular, and would often find a room to practice alone with the lights turned off, dancing to the music in my head. Where did you train and what was a typical day like? I would rather not be specific about the main institution in which I received my training, as I am now very critical of their core values and pedagogical techniques – but suffice it to say it was a fairly traditional contemporary school. Being from a fairly poor background, I often had to work at weekends and in evenings to make ends meet, so I had some very long days. At one point I worked in a nightclub behind the bar, but also did some shifts as a podium dancer. There were some fantastic dancers in the crowd that went there and I certainly picked up a great deal from watching them. Nowadays I am very focused on maintaining my physical and psychological well-being. I begin each day at 6am with a run, followed by a fruit and veg. juice for breakfast and a 20-minute meditation. I normally will then read for a couple of hours; at the moment I very much interested in ‘evolutionary psychology’. In the afternoon I am normally teaching – currently I am delivering a new class called ‘Dancing for Clowns and Clowning for Dancers’. In the evening I will take a class of some kind, do another meditation and then work on writing, props or costumes my studio. Do you still take classes? How do you keep on top of your technique? Since I became wholly committed and immersed in Naïve Dance, the only classes I now take are in 5 rhythms and Body Balance. I also regularly go dancing at night clubs (always sober) to pick up new moves – and I also visit Monkey World (near Poole) fairly regularly to observe the natural movements of the primates. What’s the best part of performing? The best part of performing is realising I had forgotten the audience – as if waking and realising it was all a dream. I wouldn’t say I ‘enjoy’ performing because during the best moments ‘I’ disappear and my self becomes completely merged with the action. Naïve Dance can often appear to people as being quite funny, but there is often a moment when my self disappears that I think people realise that something very different is occurring. My greatest achievement is having discovered a way of being such that I can dance with a complete lack of self-consciousness at weddings receptions, or other public dancing occasions. I have found a way of disappearing into my dance practice such that I have no concern for the impression I make. The proof of this is really when I am aware that people are not impressed with my dancing, and I really don’t care. This is another reason why dance busking is so liberating – people stop and watch or go away and it really doesn’t matter to me. I love the sense of being in the middle. Like when I go swimming and I’m counting lengths; at the beginning it feels like the ‘oh that’s only 6 lengths, this is so boring’, but at some point I just resign myself to fact that swimming is what I’m doing now; get used to the monotony, and before I know it that I am completely satisfied – in the middle. Don’t do what I do! There are very few opportunities to make being a dance maverick work for you – the industry really wants trained and versatile performers. But I would say, look after yourself – eat well, don’t intoxicate yourself, meditate and keep fit – and then you will be happier whatever happens. I am hoping to set up the world naïve dance championships next year in Brighton, and completely give up coffee! Dance United – an award-winning dance development organisation with an international reputation for combining artistic excellence with social concern. It’s collaborations across sectors open up opportunities for participants and develop new ways of thinking in uniting for advocacy. The passion, talent and commitment of its work is quite clearly transforming lives. Established 14 years ago, Dance United has since worked successfully with marginalised groups using contemporary dance training and performances in order to engage and ignite change. The company’s mission is to be a catalyst for radical and lasting change, working with communities to inspire and unlock potential. Dance United has been described as one of the most original and successful youth engagement programmes in the UK, aiming to get young people dancing and encourage them to continue, dance bringing positive effect to their lives. As a whole dance-based intervention schemes have increased within the social and health sectors due to the proven physical and psychological benefits of dance and participation. For Dance United, the higher the artistic quality of the work, the greater the engagement, and therefore the more likely the person in question will take on the challenge and succeed. As a result, the organisation employs professional choreographers and artists to work with the participants in order to create original dance pieces. The work of Dance United has had positive benefits for these artists too: they have all reported great benefits to their personal artistic development as a result of the work with Dance United. The organisation is striving to continue this work and extend it further, increasing the reach of projects and making sure they are fully embraced by participants. Dance United is now developing dance-based intervention of mental health settings following a successful trial last year, and will continue to promote the use of dance in the youth justice sector. 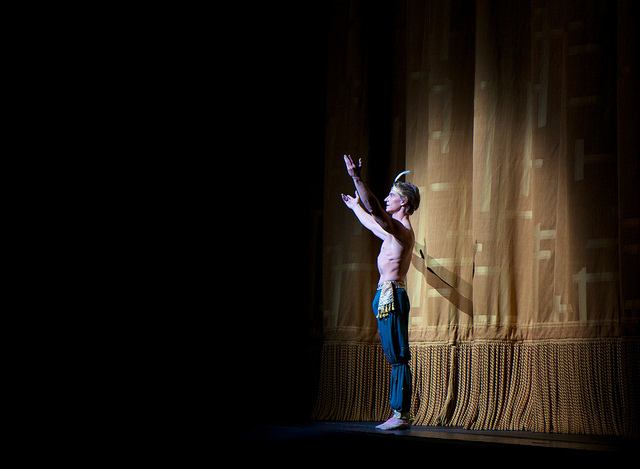 After three years as Artistic Director of the Royal New Zealand Ballet, Ethan Stiefel has decided to leave the company in order to return to his native USA at the beginning of September to pursue new opportunities. Throughout the three years, Stiefel has made an outstanding contribution to the company and has brought it the success it so deserves. It’s increased international profile has benefited the company greatly as it looks back on the positive influence of Stiefel. Under Stiefel’s leadership, the RNZB has enjoyed record-breaking seasons of short works and full length ballets, including almost 38,000 tickets sold for The Vodafone Season of Swan Lake in 2013. His acclaimed new production of Giselle, created in collaboration with Johan Kobborg was a landmark in New Zealand dance, and formed the centrepiece of two hugely successful international tours, to China (2013) and the USA (2014). Stiefel has strengthened the classical ballet company, particularly in full-length works and has focused on building the company to 36 full time members. Not only have dancer numbers increased but so have standards, and Stiefel has also worked to develop the RNZB’s musical resources, including the appointment of Nigel Gaynor as Music Director. Stiefel’s last season with the RNZB will be Allegro: Five Short Ballets, a programme of classic and contemporary works, including a world premiere from New Zealand choreographer Daniel Belton. Allegro open on 30 July and will tour to a further six theatres around New Zealand. Following their successful US tour, the RNZB is now in rehearsal for Coppélia, the much-loved production which opens on 17 April ahead of an eight theatre New Zealand tour. An international search for a new Artistic Director is underway and the RNZB Board hopes to confirm an appointment by 1 September 2014. Image courtesy of notmydayjobphotography‘s photostream on Flickr.